An adult gorilla cuddles its baby in Volcanoes National Park (Internet photo). 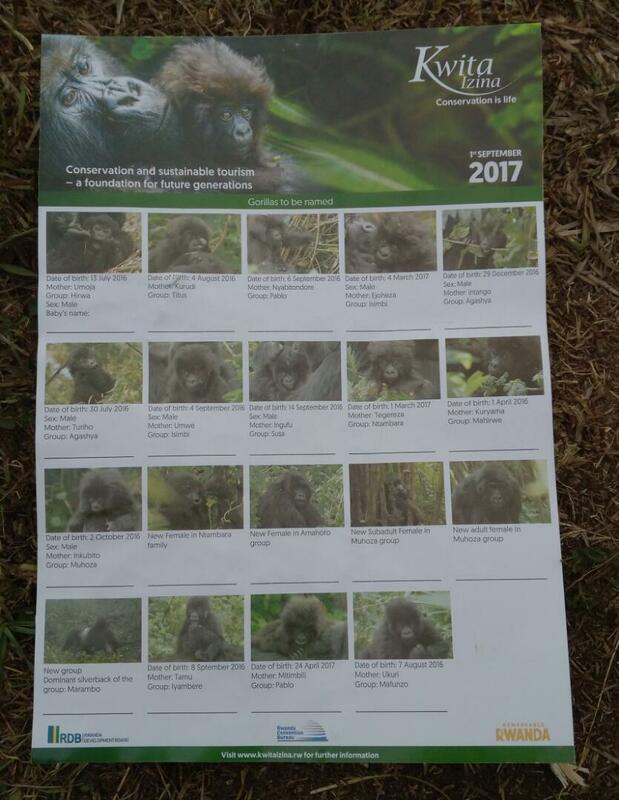 Below, there is a list of 19 baby gorillas that were named at the 13th Kwita Izina ceremony, Yesterday, September 1, 2017 in Musanze, Northern Province. During a colourful ceremony to name 19 young mountain gorillas in Musanze District, yesterday, President Paul Kagame said that wildlife conservation has various benefits including generation of revenues, and urged Rwandans on enhancing their conservation efforts to nurture such creatures. “We all know the revenues we get from enhancing our conservation efforts. Let’s commit to continued environment protection. We must all strive to protect our gorillas and other animals’ habitat. 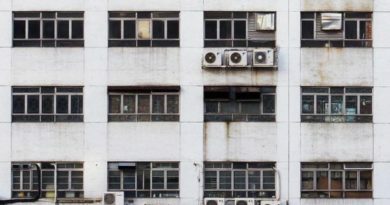 It’s for our own benefits,” the President said. 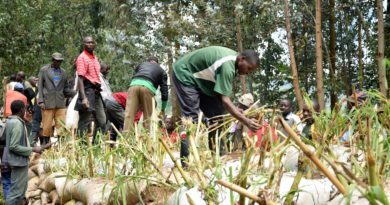 The 13th edition of Kwita Izina ceremonials took place on September 1, 2017 at Kinigi wildlife center in Musanze District, an area which is having various amenities and development initiatives thanks to the presence of mountain gorillas in the nearby Volcanoes National Park. Most of the named young gorillas were born between April 2016 and April 2017 and these include 14 young gorillas born from the park, four from neighboring forests and seven others which run away from their families. Tourism sector is a very important business sector of Rwanda and it is expected to bring $440 million for the country by 2018, from $404 million it generated in 2016, according to figures from Rwanda Development Board (RDB). “14 years ago we went to visit the gorillas. We were with very senior guests. As we were there, a baby gorilla got scared and the silver back came towards us. The guide told us to get down as a sign that we were not aggressive. “I told my guest that I didn’t want a fight with the gorillas. In their own habitat, the silver backs are kings,” the President recounts. 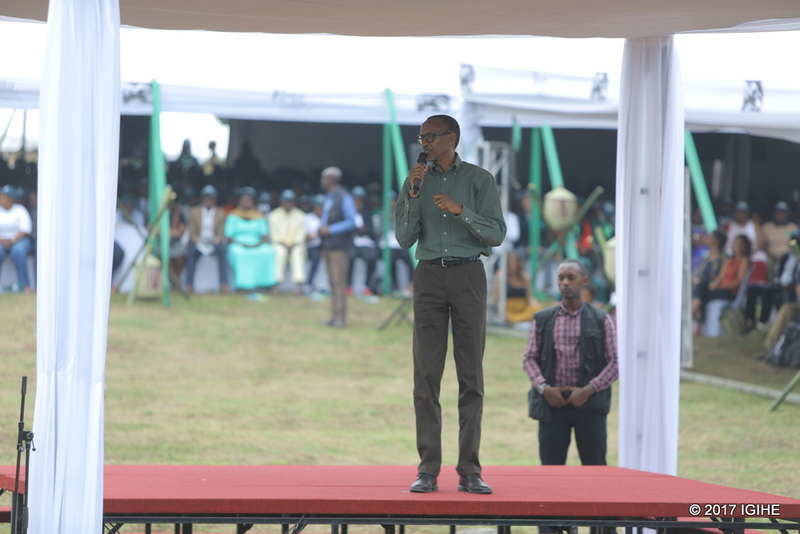 President Paul Kagame told people to preserve tourism and wildlife health which are beneficial for the country and people around the world. 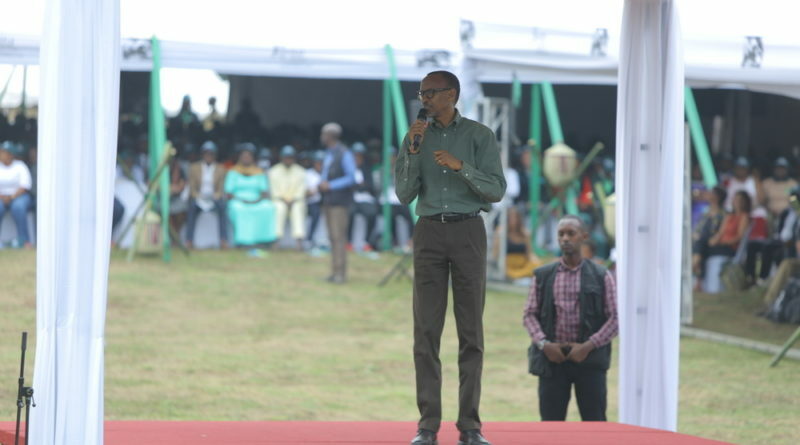 “Let us preserve environment and develop tourism, let us preserve all of those animals by giving them peace and health that they deserve as everyone will benefit from them, so that foreigners who love Rwanda continue to see such development and all Rwandans get a better life in our daily development,” Kagame said. Residents surrounding the park have been being given 5 percent of tourism revenues, which RDB said it increased to 10 percent starting from this year. 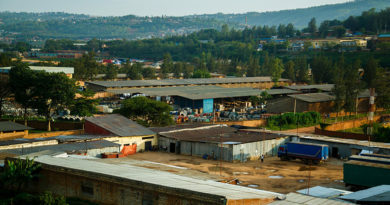 The Mayor of Musanze District Jean Damascene Habyalimana pledged to preserve the achievements in environment and tourism to foster development that the country and improving the livelihoods of Rwandans, especially communities in the vicinity of parks. According to Belise Kaliza, RDB’s Chief Tourism Officer, $20,000 was collected to support conservation during this year’s Kwita Izina Gala Dinner. In the last 12 Kwita Izina events, 239 baby gorillas were named, since this conservation initiative started in 2005. Figures from the State of the Environment and Outlook Report 2015, Rwanda that was produced under the auspices of REMA shows that there some threatened species in Rwanda. These include 42 plants, 17 birds, 42 mammals and 4 reptiles and amphibians. 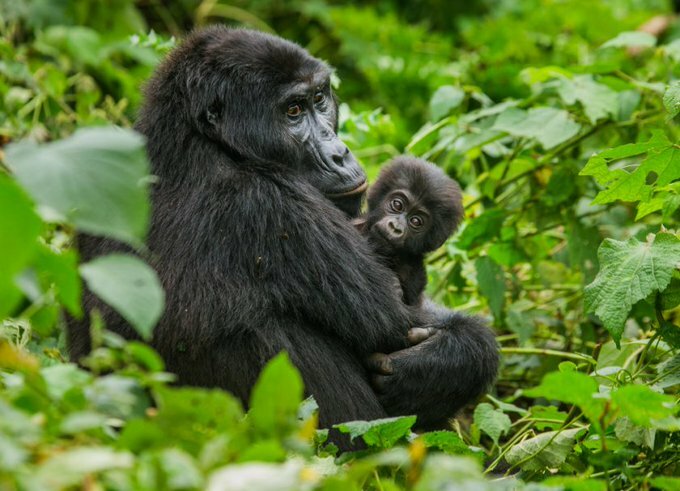 There are only some 880 mountain gorillas left in the world, with majority of them being in Rwanda’s volcanoes park and neighbouring countries.